Elise Hoffmann joined Marshfield in 1995 and became a principal in 1997. She and Chris head up the research team and together they write Marshfield’s letters to clients. Prior to joining Marshfield, she worked for Rep. Ed Markey, serving seven years as Counsel to the U.S. House of Representatives’ Committee on Energy & Commerce, Subcommittee on Telecommunications and Finance, where she was responsible for developing securities legislation. Prior to that, she practiced law in the private sector at Steptoe & Johnson in Washington, D.C., where she was an associate attorney practicing corporate, securities, and tax law. 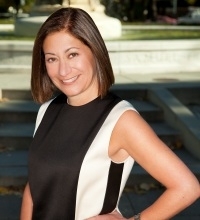 Having served for many years as Chair of the Finance Committee for the Washington Project for the Arts, she is currently a member of the Board of Directors of Transformer, a visual arts organization that connects and promotes emerging artists locally, nationally and internationally. She is also on the Advisory Board of DC Prep, a charter school in the District of Columbia. Chris Niemczewski founded Marshfield in 1989. 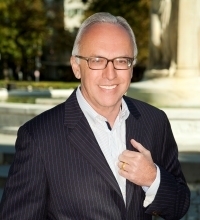 While in graduate school at Columbia, he was exposed to the Graham and Dodd school of security analysis and investing, an approach that has influenced his forty years in the investment field. In addition to formulating and guiding Marshfield’s core investment philosophy and discipline, he conducts research and focuses on long-term strategic firm planning. From 1981 to 1989, he was President of Justin Asset Management. Chris is a member of the Board of Directors and Chair of the Development Committee of Martha’s Table, a Washington, DC-based organization dedicated to increasing access to quality education programs, healthy food, and family support for those in need. He is also a member of the Swarthmore College Investment Committee, and was Chair of that committee from 2009 through 2017. Chad Goldberg joined Marshfield in 2006 and became a principal in 2012. He works with the research team analyzing Marshfield’s current and potential future holdings. 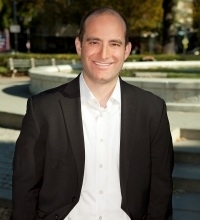 Prior to joining Marshfield, Chad worked as a research assistant for the National Security Division of the Congressional Budget Office in Washington, DC, from 2003–2005. At CBO, he assisted with research on the long-term implications of Department of Defense budgets and private sector mandates.